We got an early look inside the up-and-coming City Foundy STL project, which is taking an eye sore and turning it into 500,000 square feet of hangout space. ST. LOUIS — There's a beehive of activity at City Foundry STL. "I don't think St Louis has any idea of what we're doing here," said Steven Smith. Dirt is moving. Sparks are flying. "Almost a half a million square feet of development we're doing inside the site," said Smith, who is the developer. They're in the early stages of City Foundry STL. "This thing has tremendous potential," Smith added, and he's the visionary. "The excitement is to take something that many people can't see or throw or tear down and say this is worthless and actually turn it into something innovative and interesting." They're taking the old Century Electric Foundry complex and making it new again. "Quite frankly don't know for sure what all this stuff did at one time, but we're going to preserve it," Smith said, pointing to a series of pipes and rusted items inside the old building. 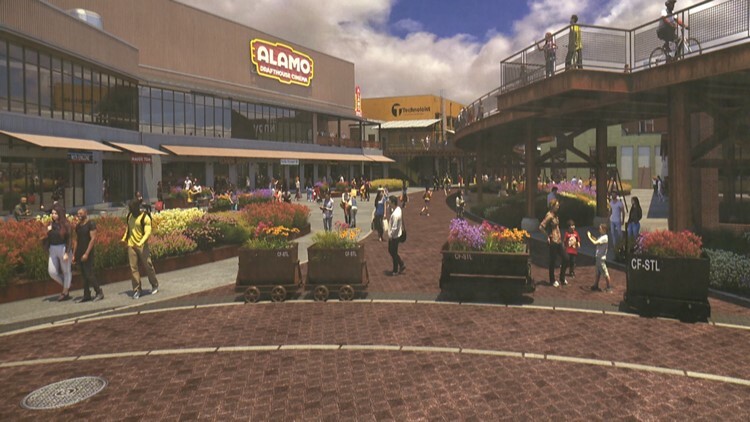 The plans and renderings show a building full of shops and places to eat and drink mixed into the industrial workings. "You can overlook the food hall which is right there," Smith said from a second-story overlook. You won't need a car to get there thanks the old railway that went into the site. It'll now become part of the Chouteau Greenway. The proposed trail goes from Forest Park all the way to the Arch and to points north and south. What was once an eye-sore in Midtown will become a destination spot, Smith hopes. "Really believe people will come here from around the United States," he said. When the dust from the constructions settles, he believes City Foundry STL will bring a new hustle and bustle to Midtown. "Can sit here and enjoy friends and vibe safely, comfortably and be in the middle of all the action." City Foundry STL is on schedule to open in the year 2020.